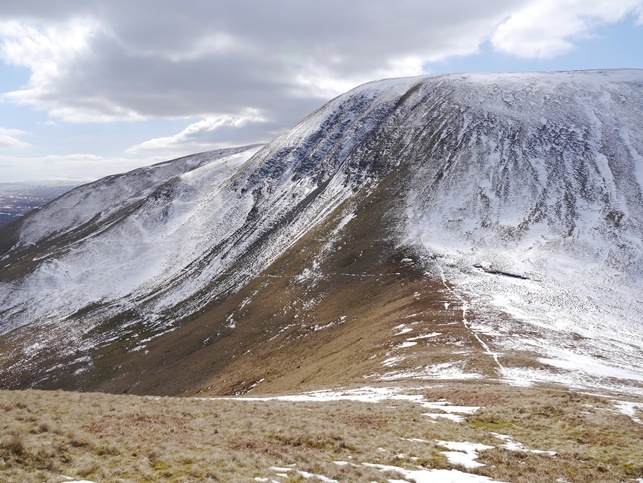 Yarlside is a typically shapely hill in the Howgill Fells and whose steep grassy slopes are challenging even by Howgills standards. While it is only the fourth highest of the six 2,000ft summits in the Howgill Fells there is no doubt that Yarlside is the shapeliest. Indeed its eastern slopes feature some of the steepest gradients in the range. In fact steep slopes abound on Yarlside and whichever route one takes to reach the top involves a stiff climb on grass. A direct climb from the Cross Keys Inn can be achieved over Ben End. 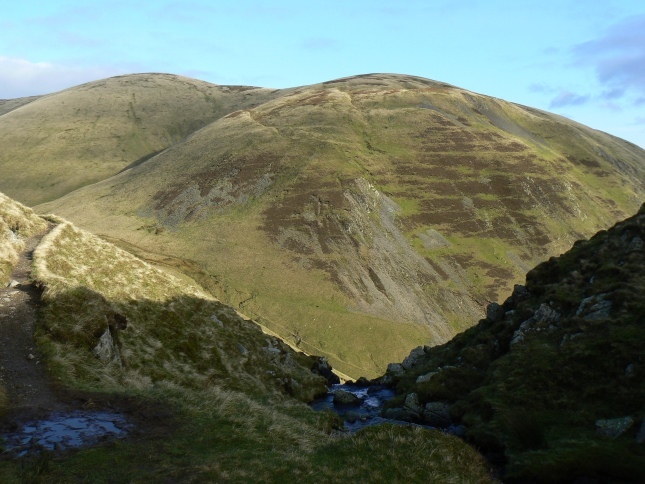 An alternative route from the same starting point involves walking to the foot of Cautley Spout before taking the path to Bowderdale Head. At the top of the pass turn right to follow what was once the old West Riding boundary with Westmoreland. By far the steepest route up on to Yarlside is via Saddle, the appropriately named col between Yarlside and Kensgriff. I’ve been both up and down this route and it a real calf stretcher on the way up and a strain on the knees on the way down. Unless one is out for a very short walk it has to be done though and the views are nothing less than spectacular. 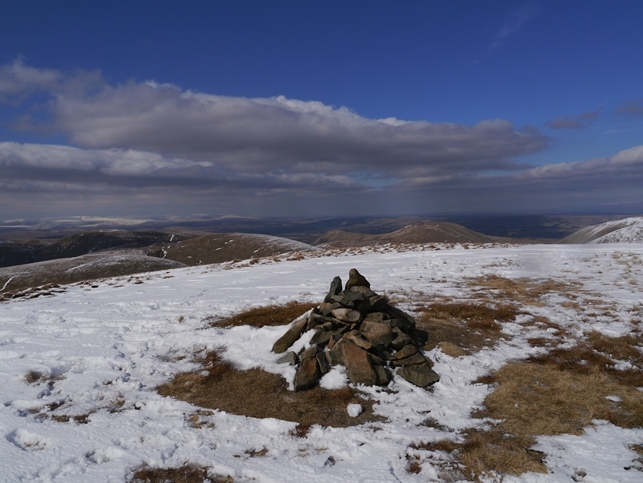 According to the Database of British Hills the highest point is a spot 5m to the south-east of a cairn, just about the only feature on the grassy summit. 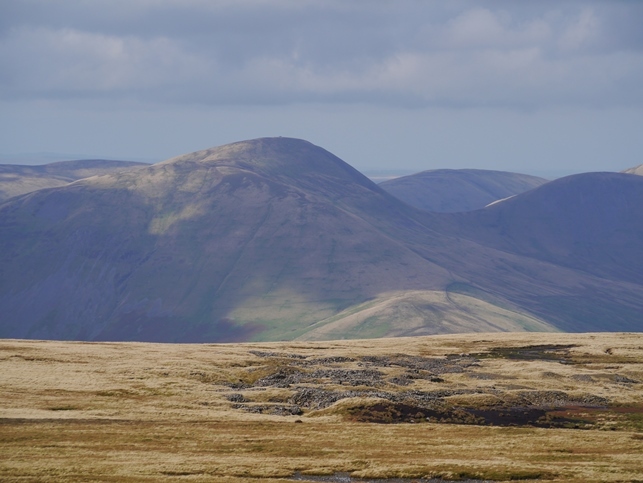 As with almost all its neighbours in the Howgills the view from the top of Yarlside is excellent. 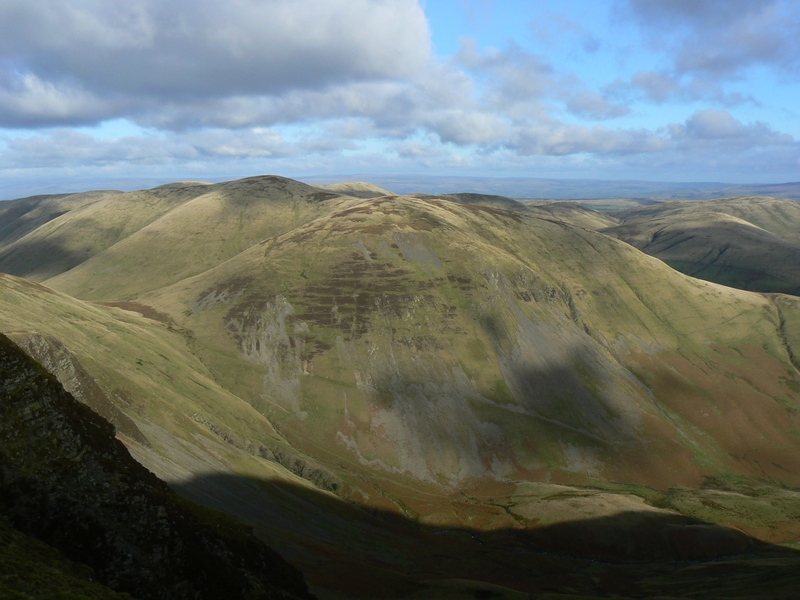 In particular the northern sweep encompasses the eastern fells of the Lake District, the Cross Fell range of the North Pennines and northern Howgill summits.